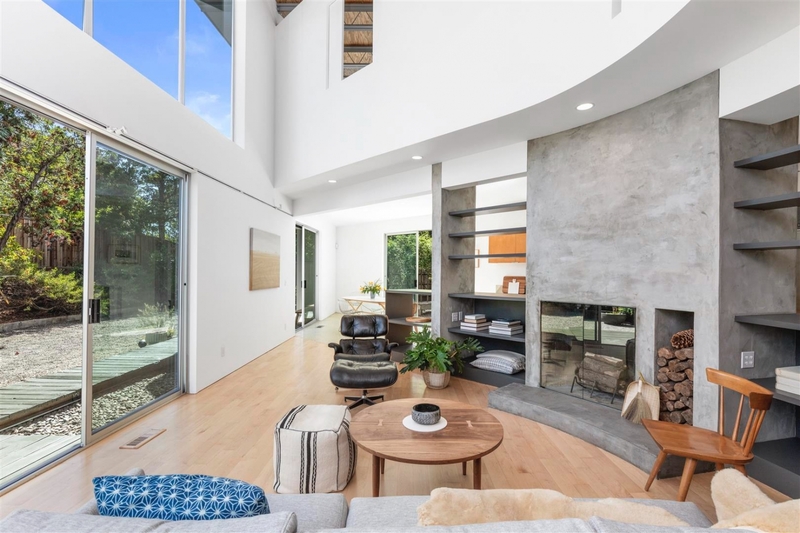 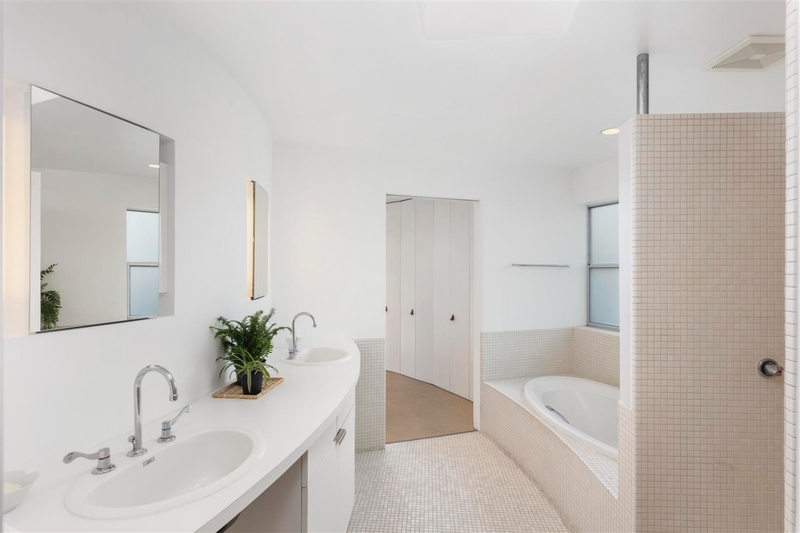 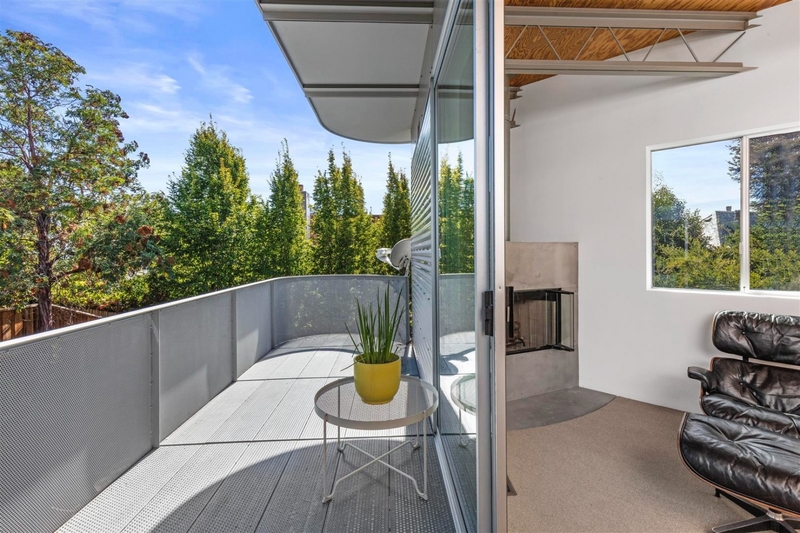 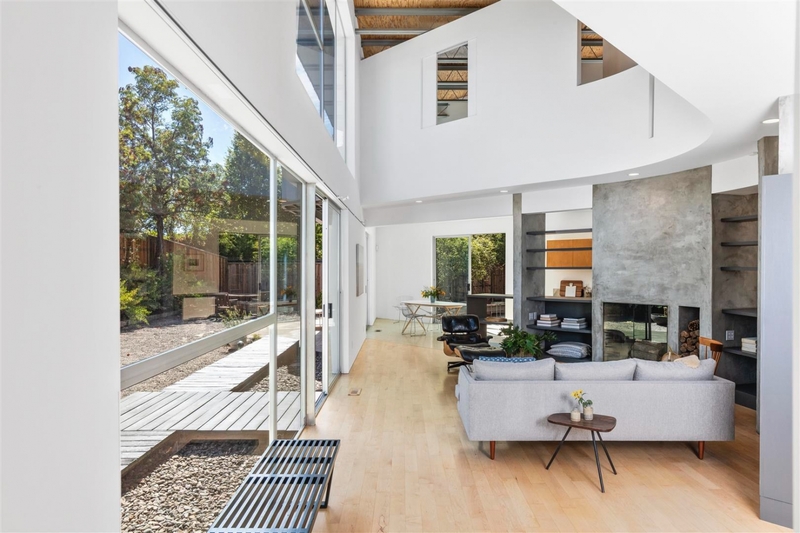 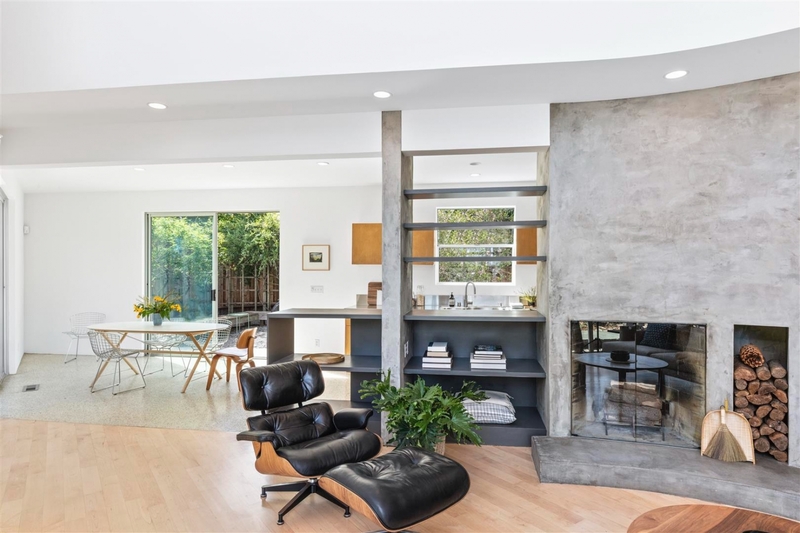 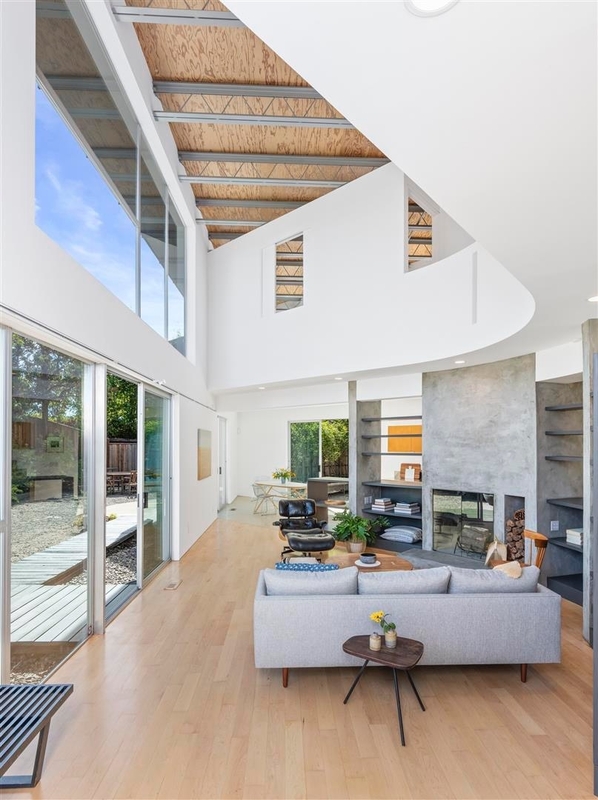 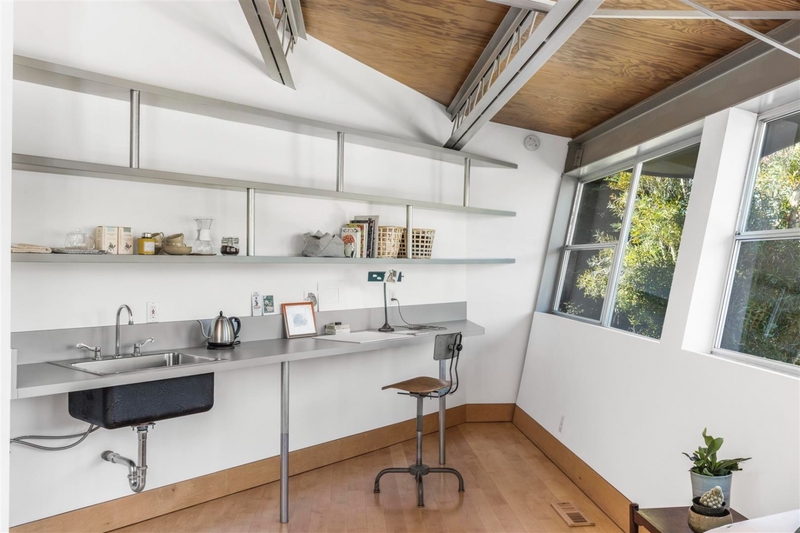 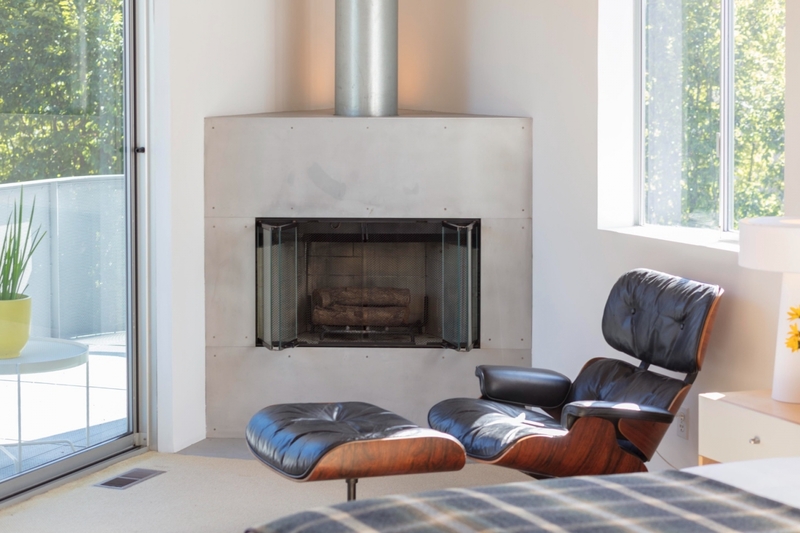 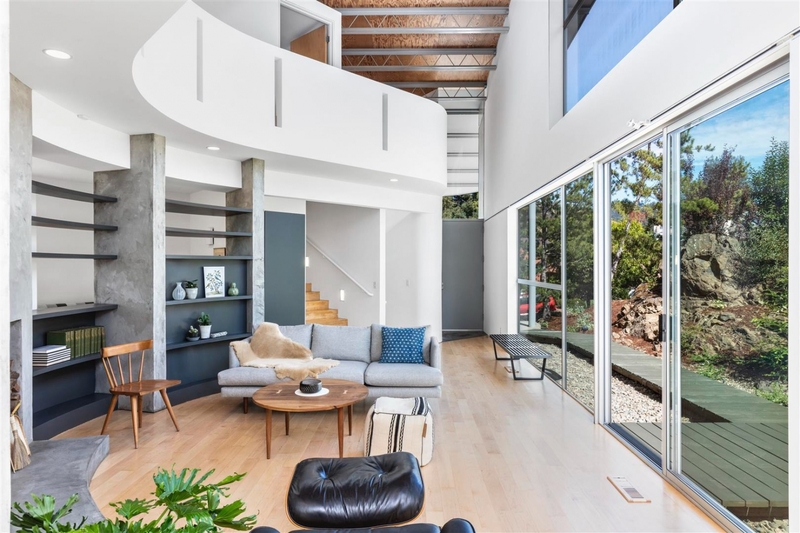 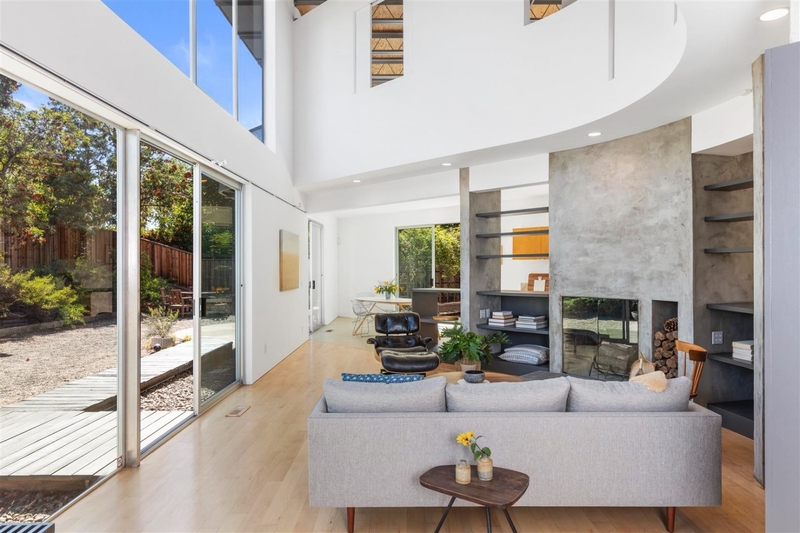 Live in a Work of Art - Significant Stanley Saitowitz Designed Property - "McLane-Looke House"
Extensively published, never before toured - this significant Stanley Saitowitz masterfully designed property is the perfect combination of artistry and livability. 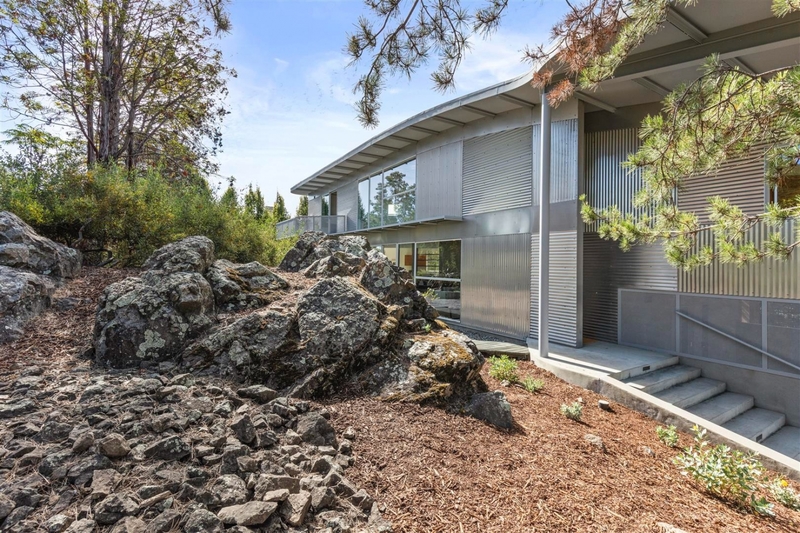 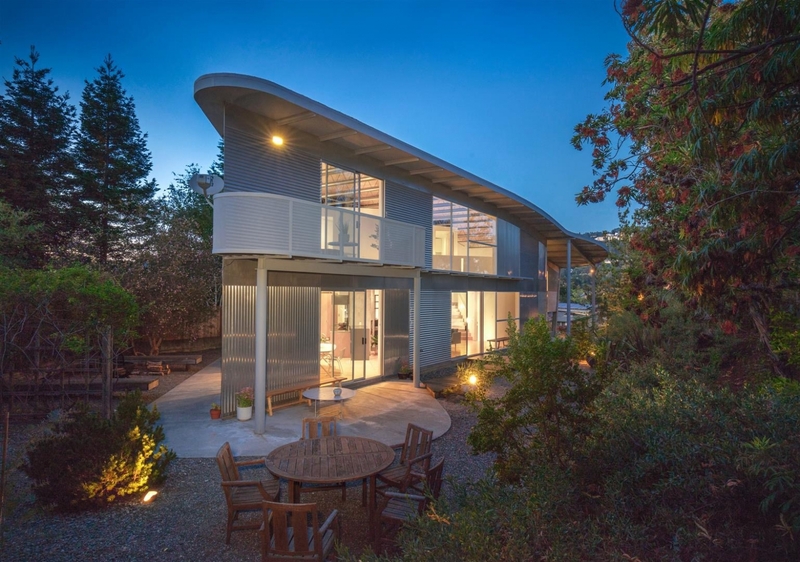 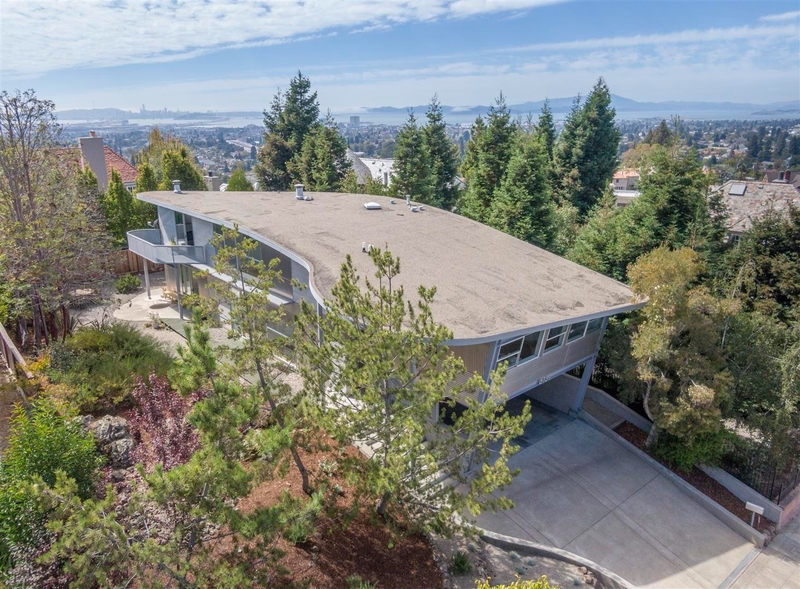 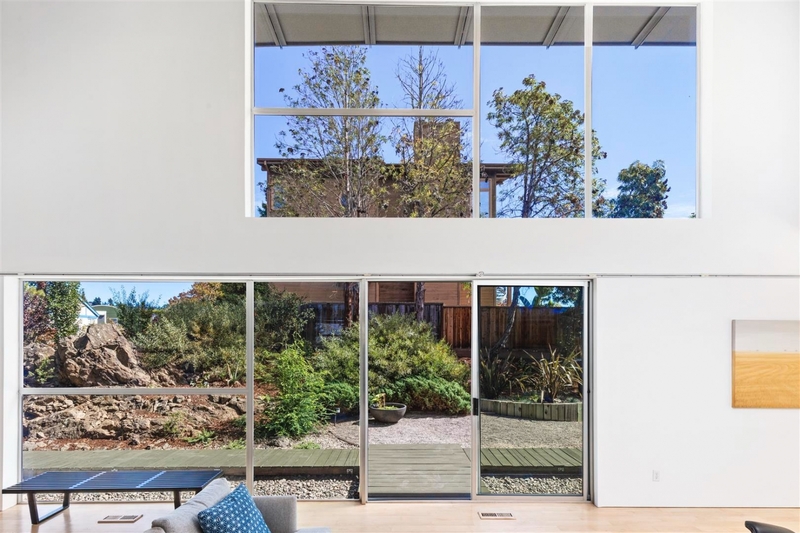 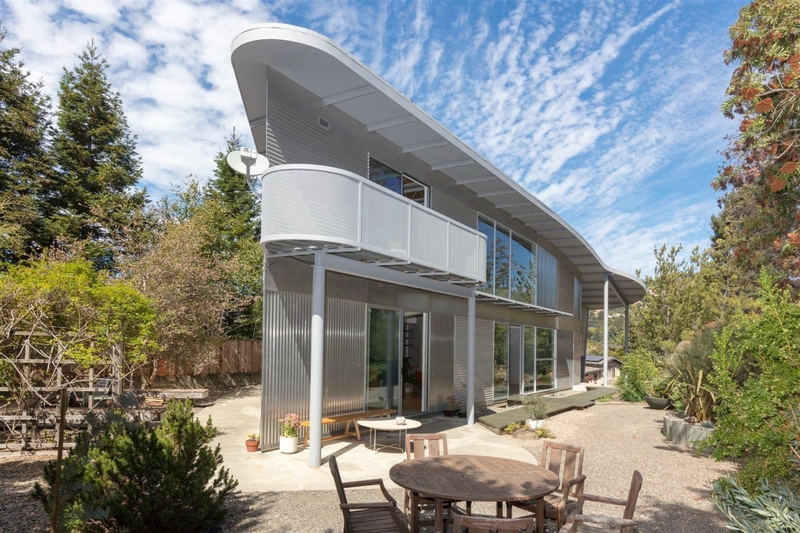 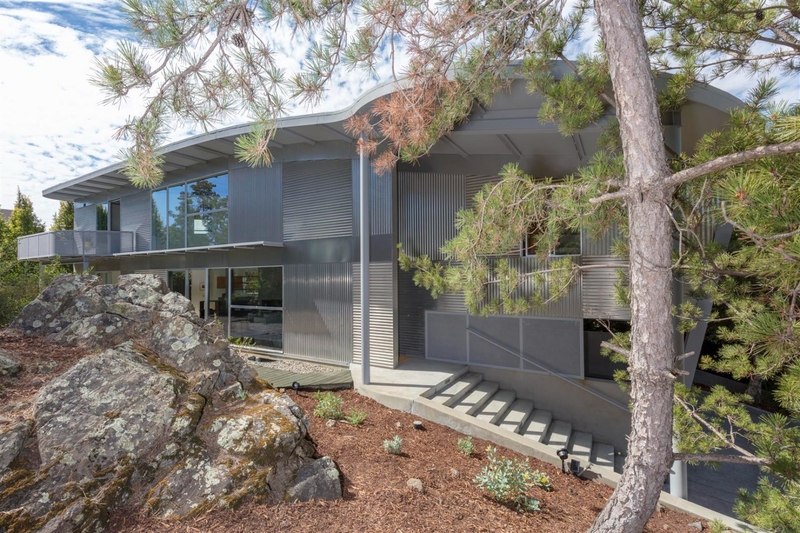 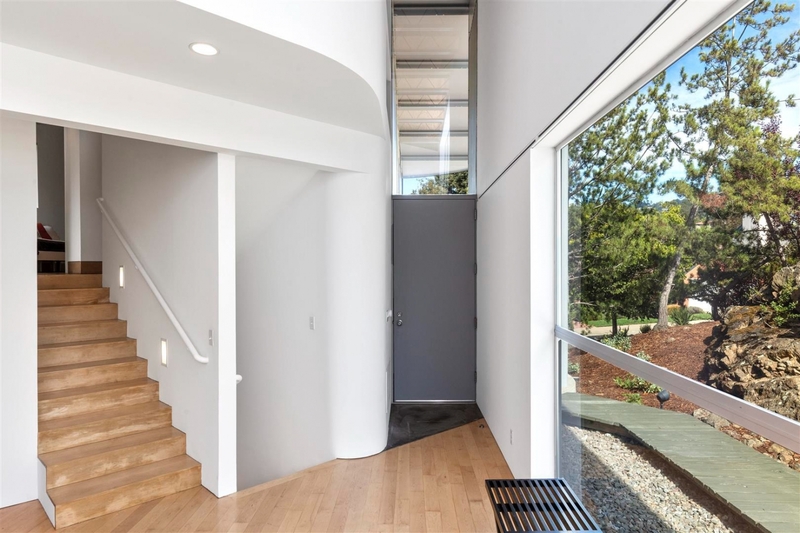 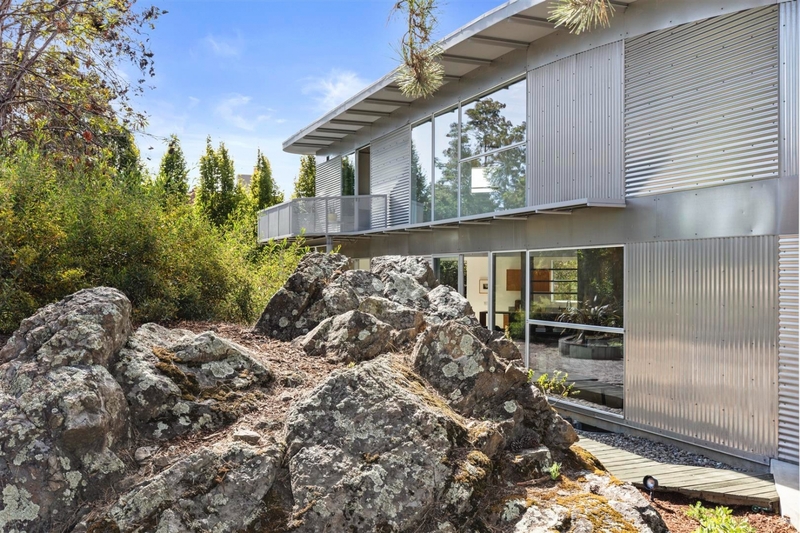 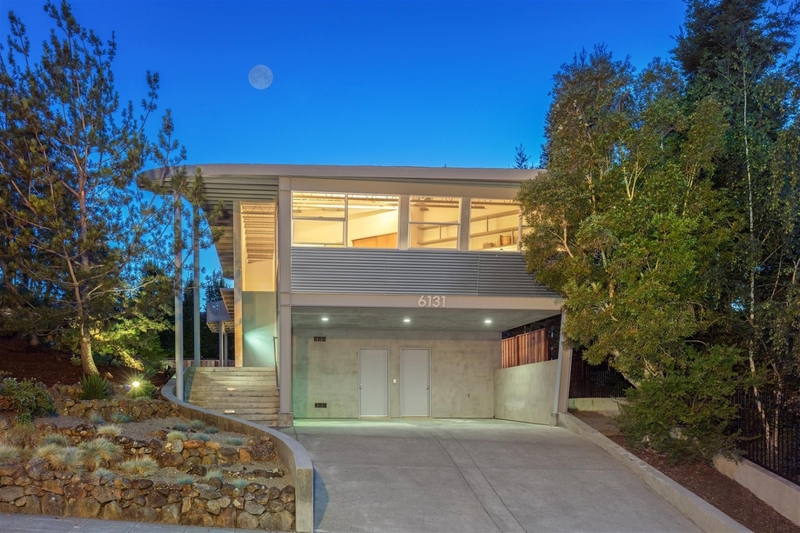 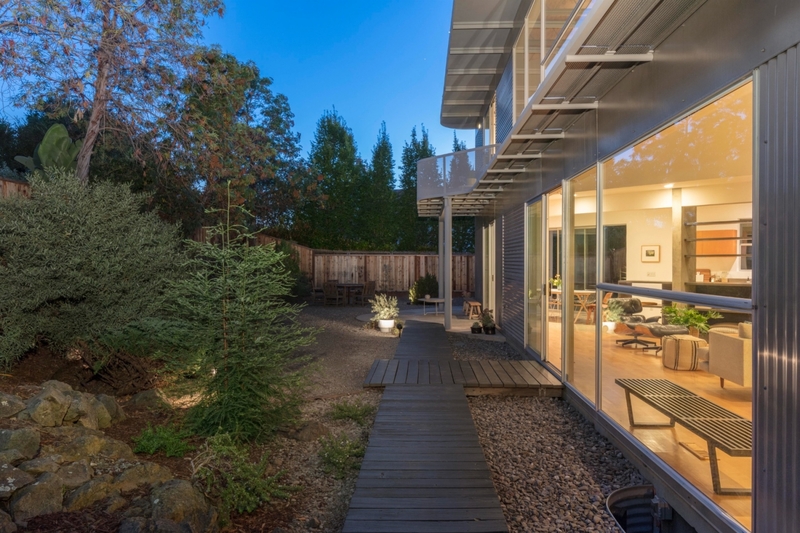 The form was determined by its site, a wall of glass reflecting the contours of the hillside and a beautiful natural outcrop of rock…truly Rockridge. 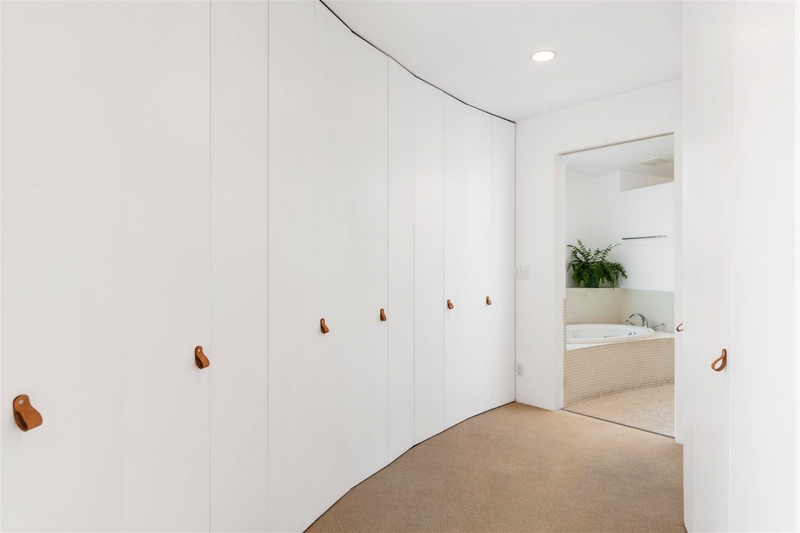 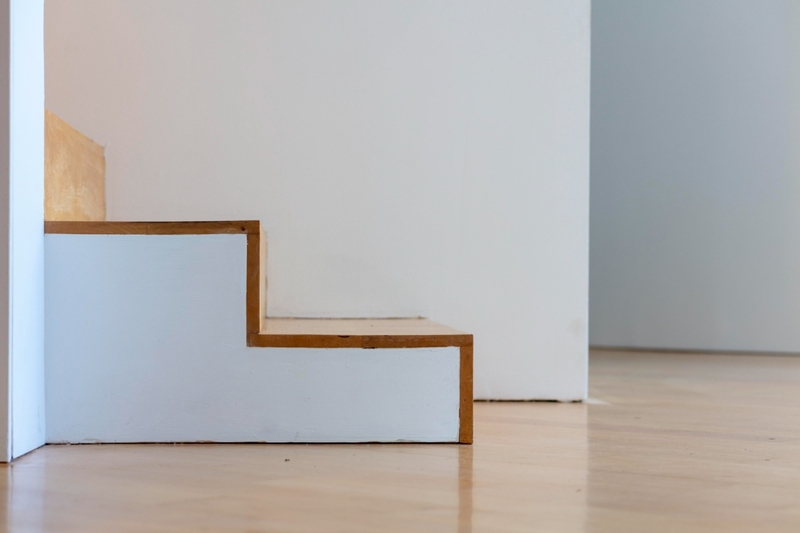 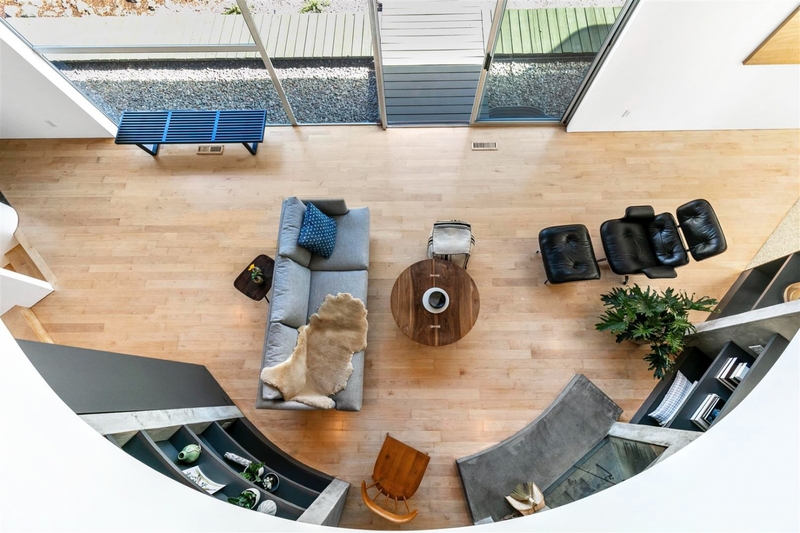 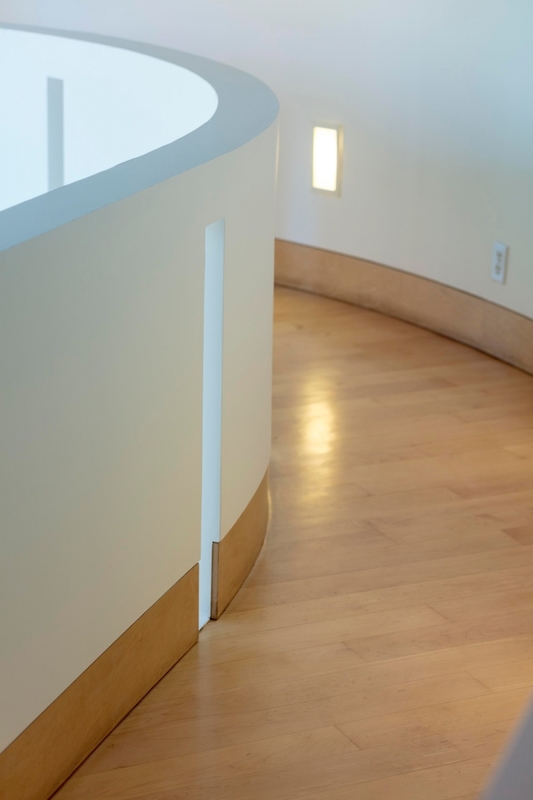 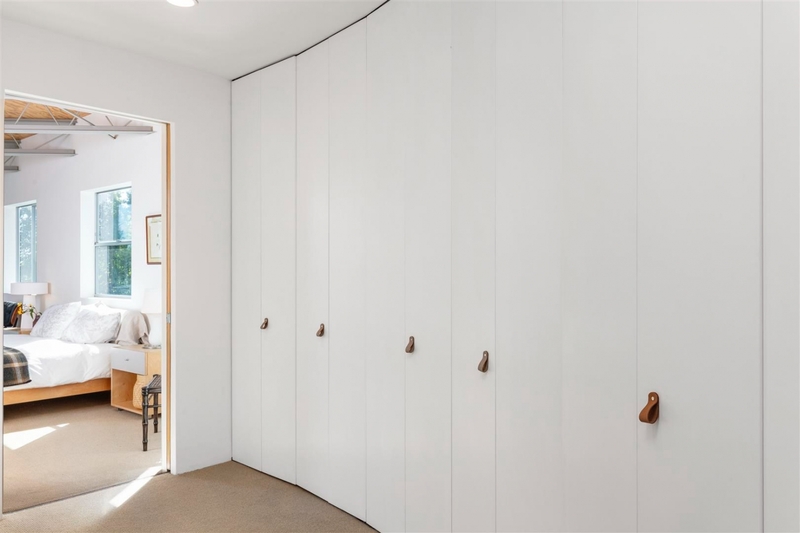 The fluid geometric form throughout this property is enchanting. 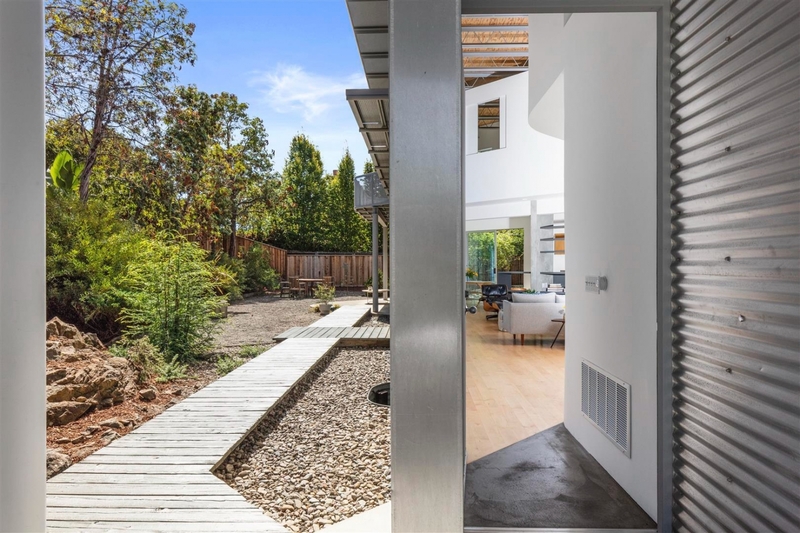 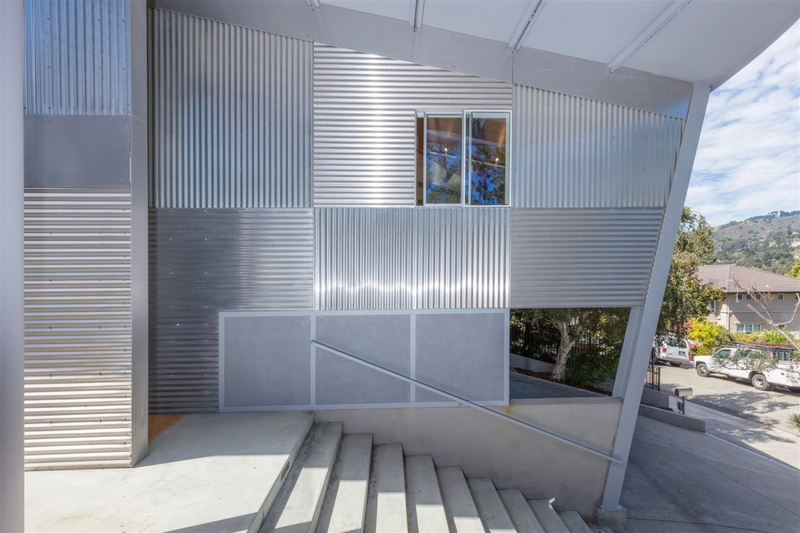 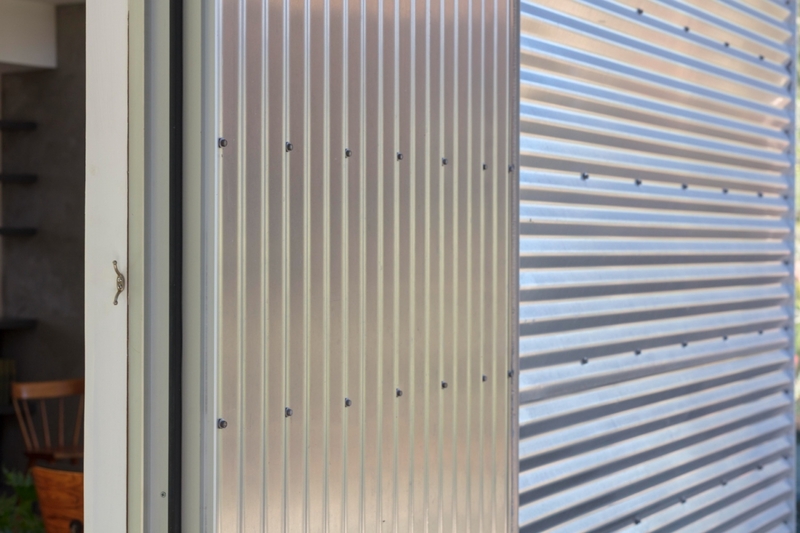 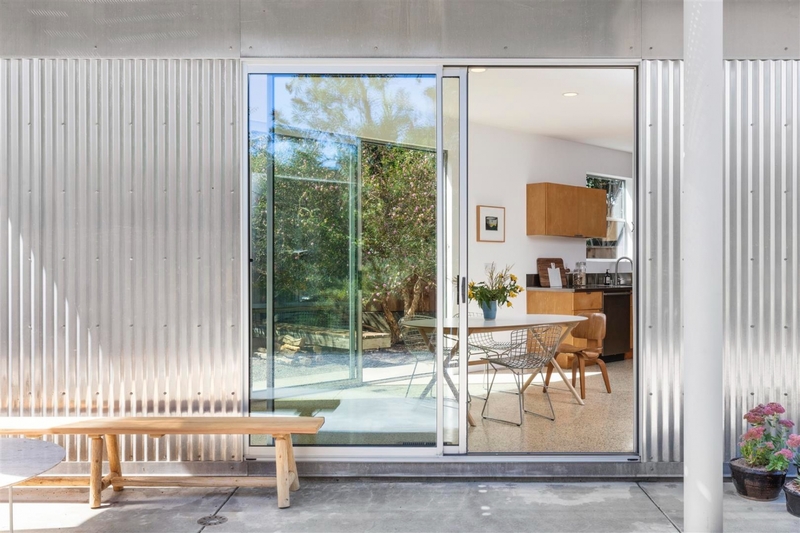 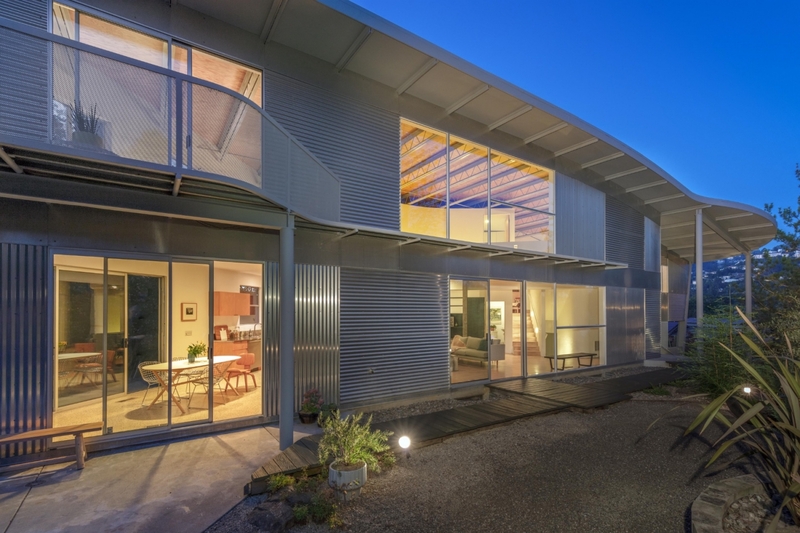 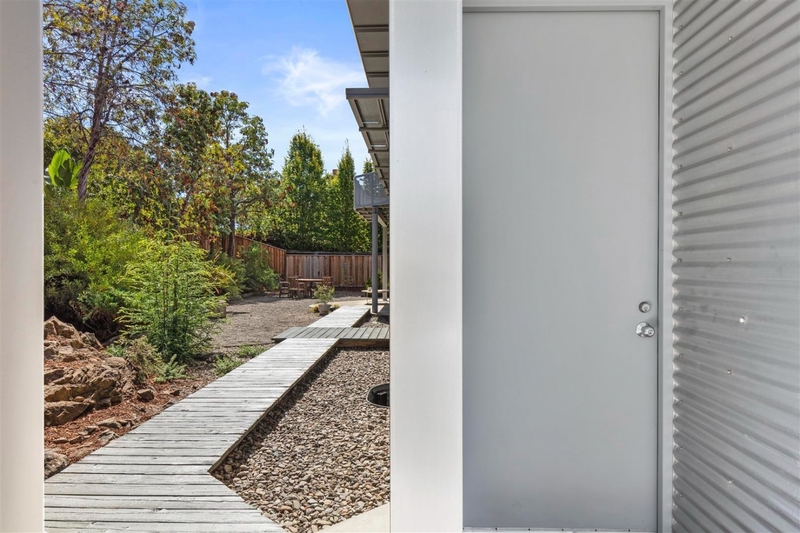 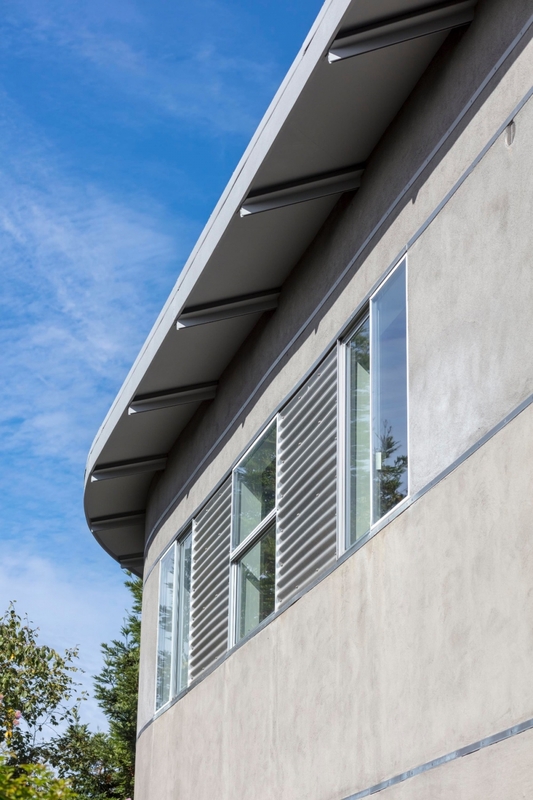 The home exterior offers a novel and intriguing use of industrial materials: patterned corrugated aluminum panels and glass. 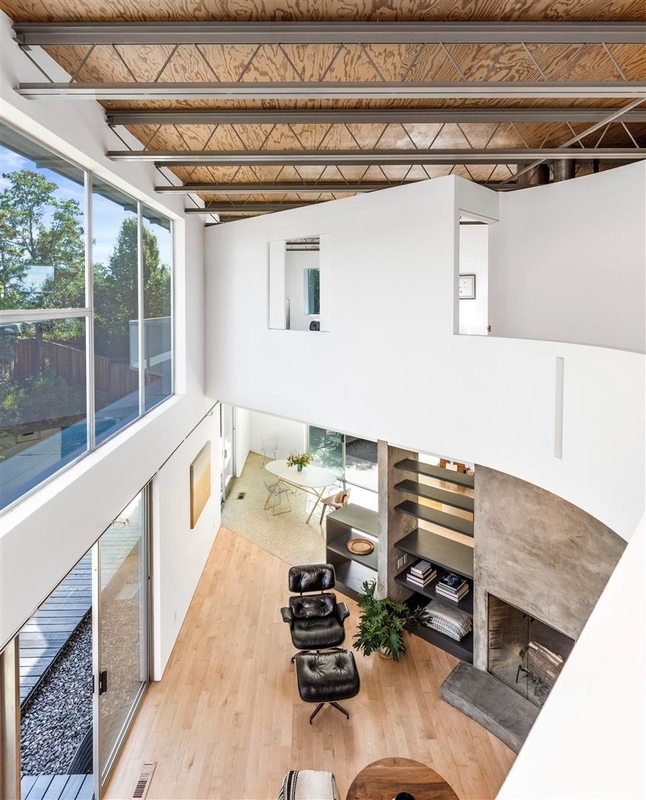 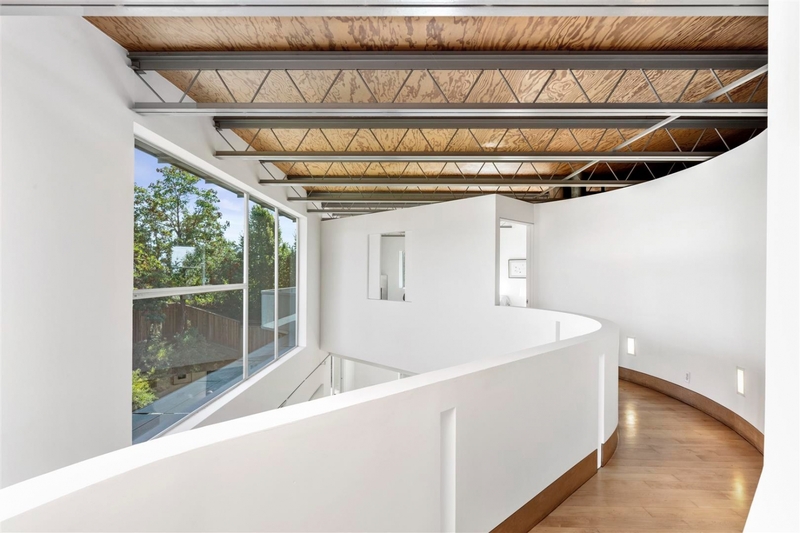 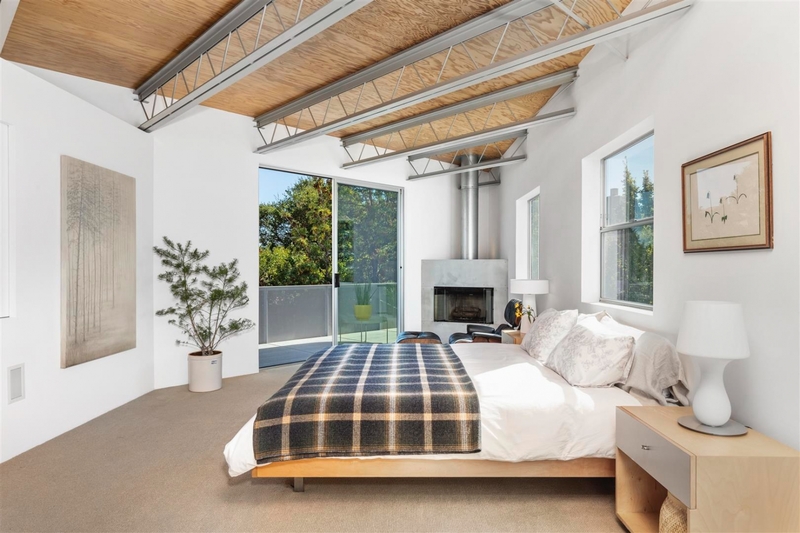 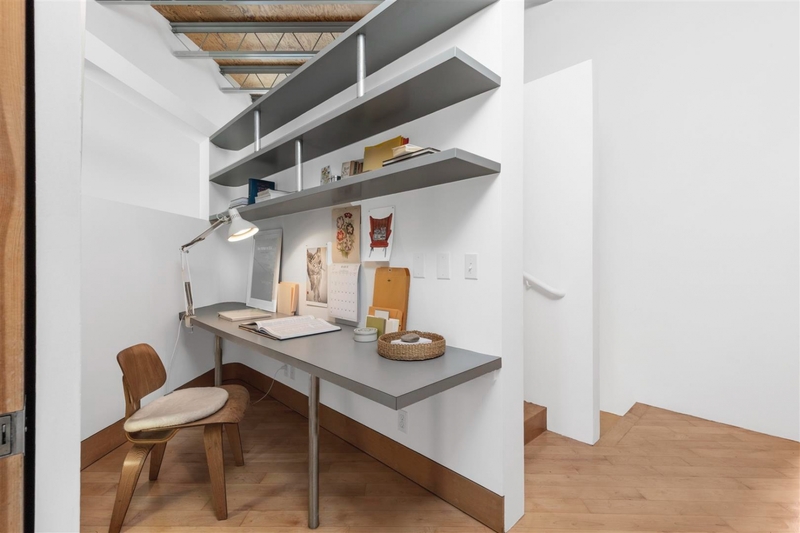 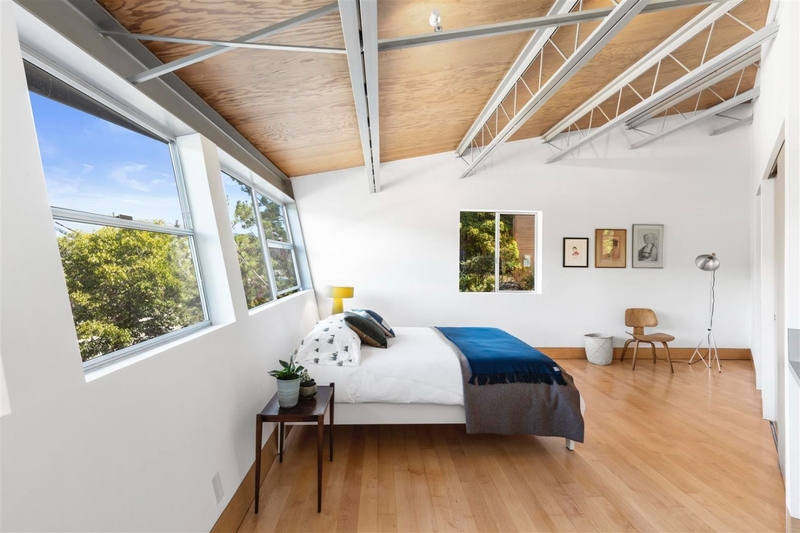 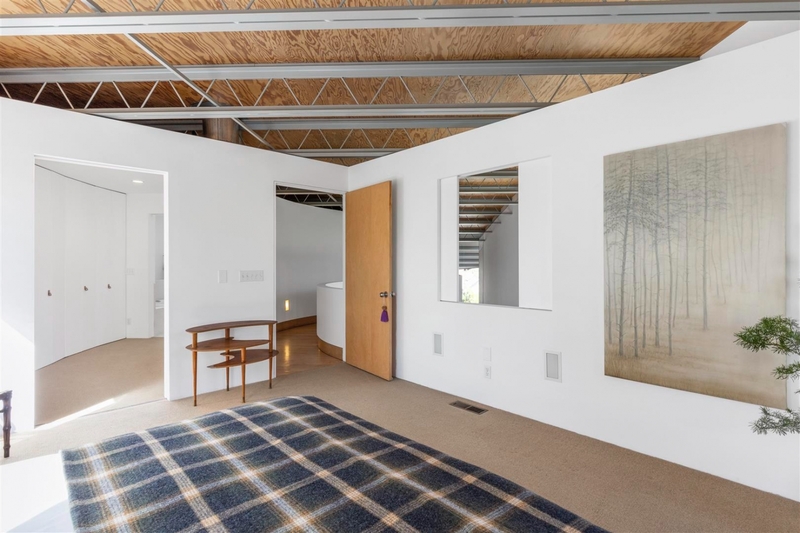 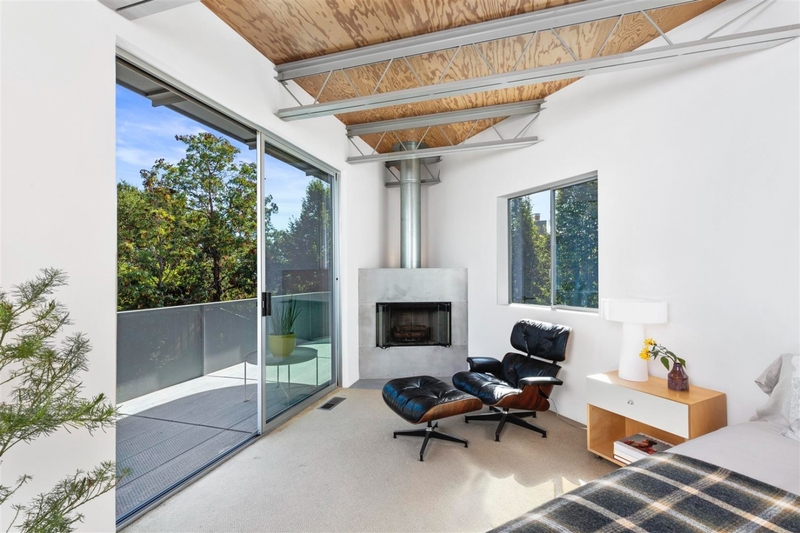 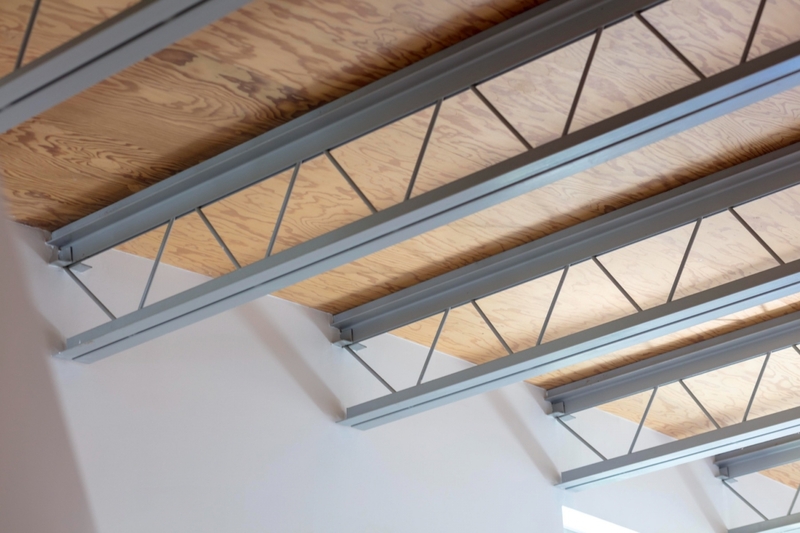 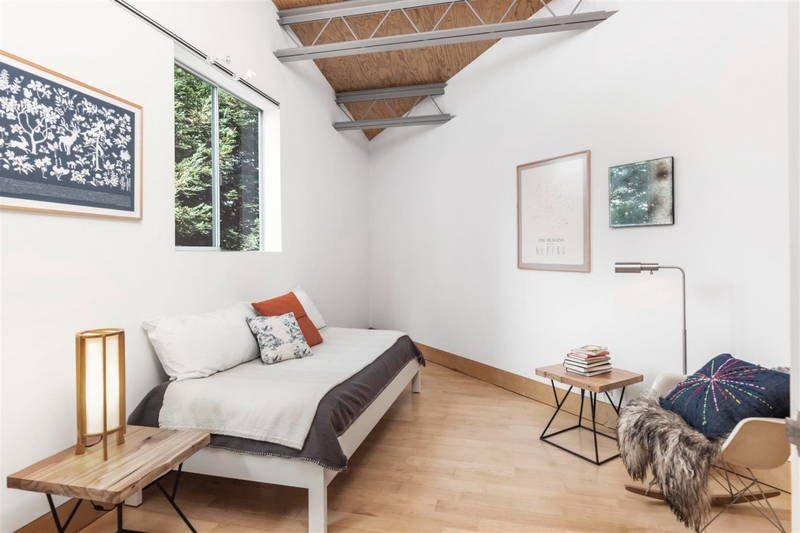 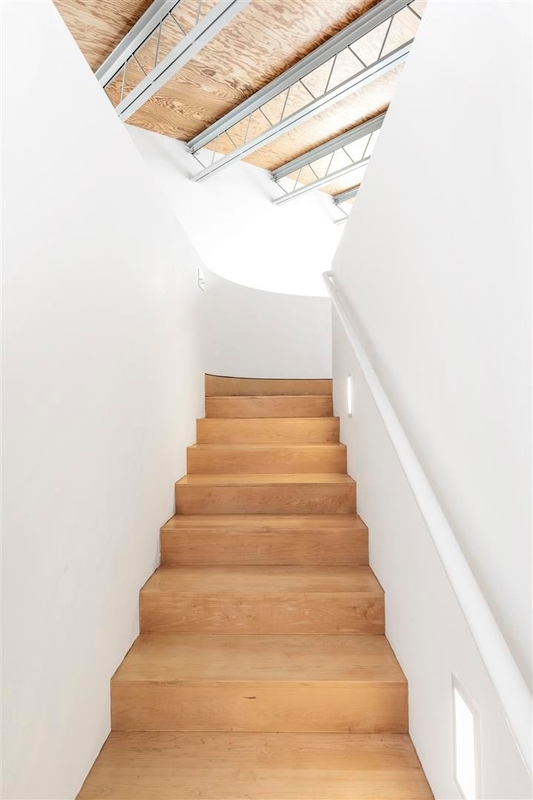 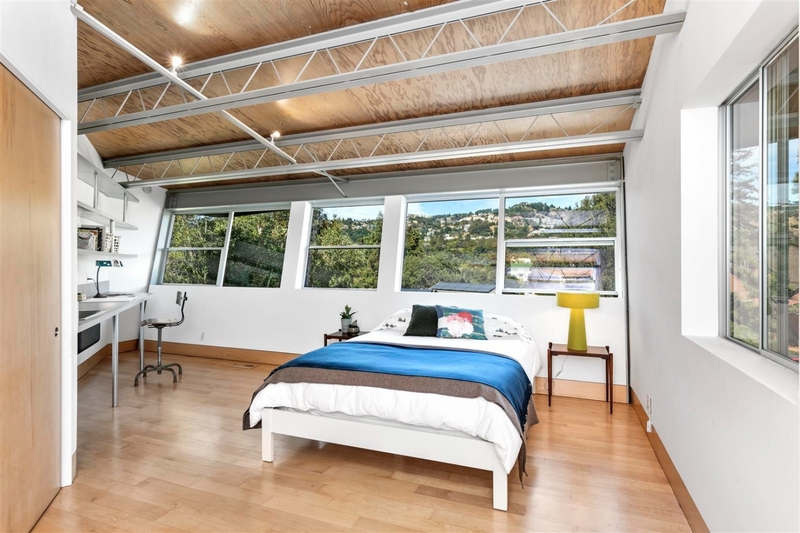 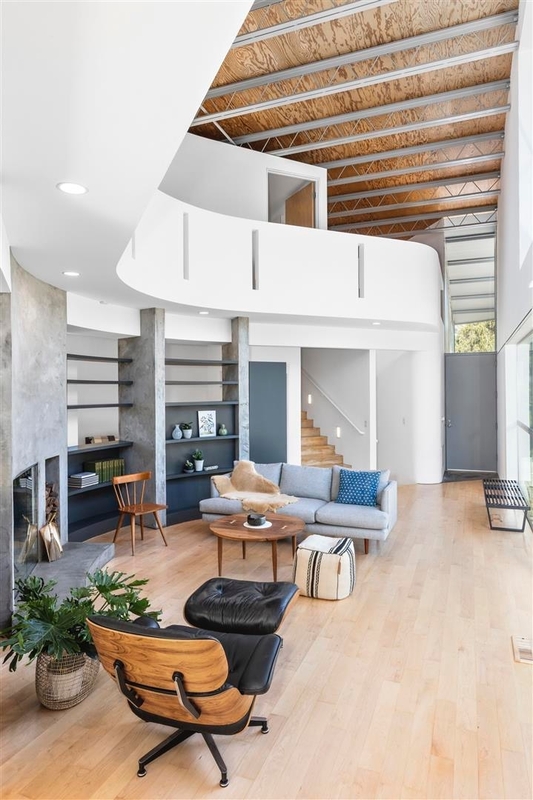 Exposed structural elements of steel-bar joists and patterned plywood ceilings are carried into the interior. 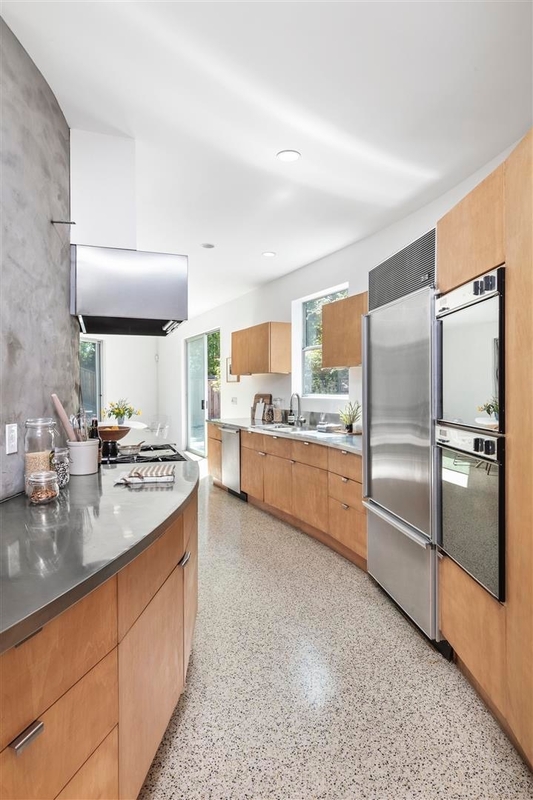 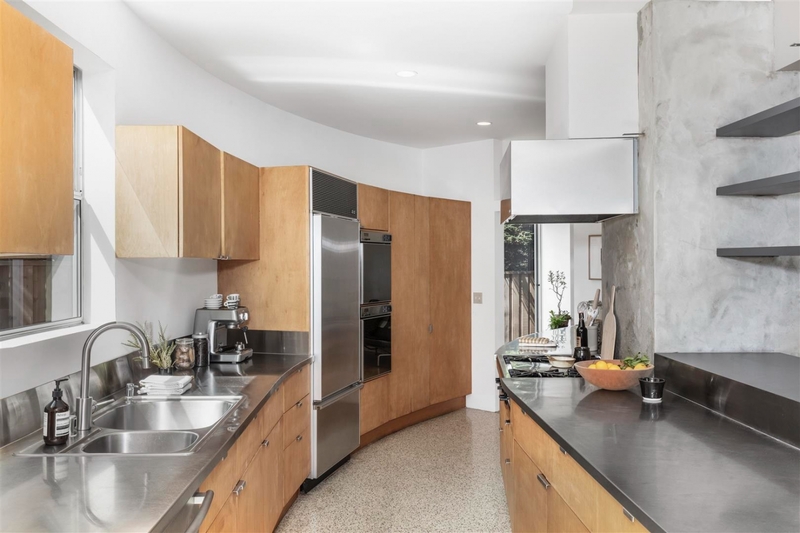 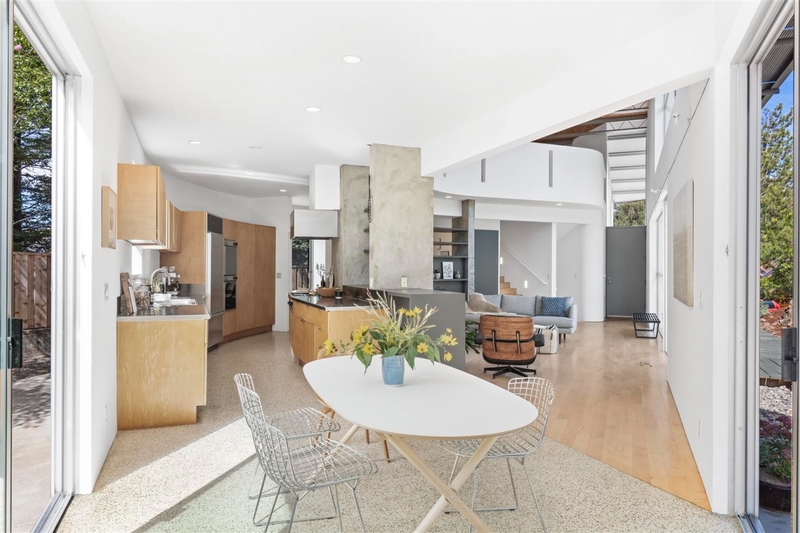 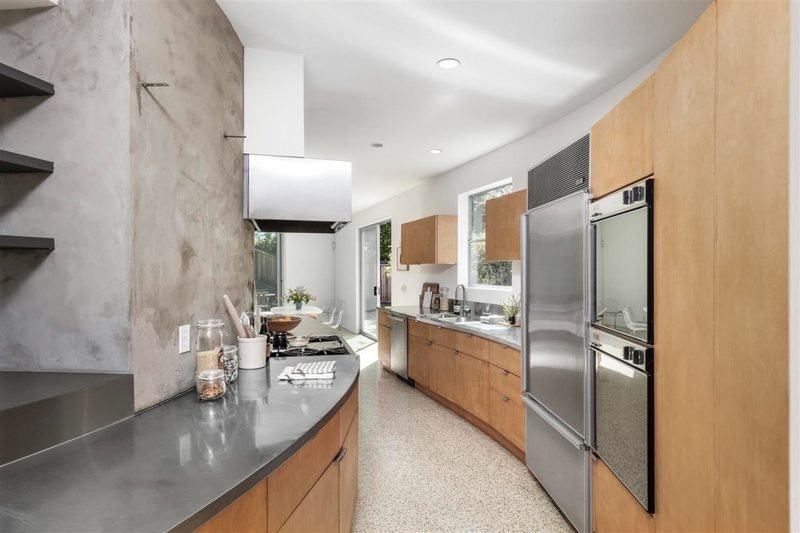 The textures of the dramatic interior are finely detailed finishes include Terrazzo kitchen & dining floor, stainless steel countertops and maple wood floors. 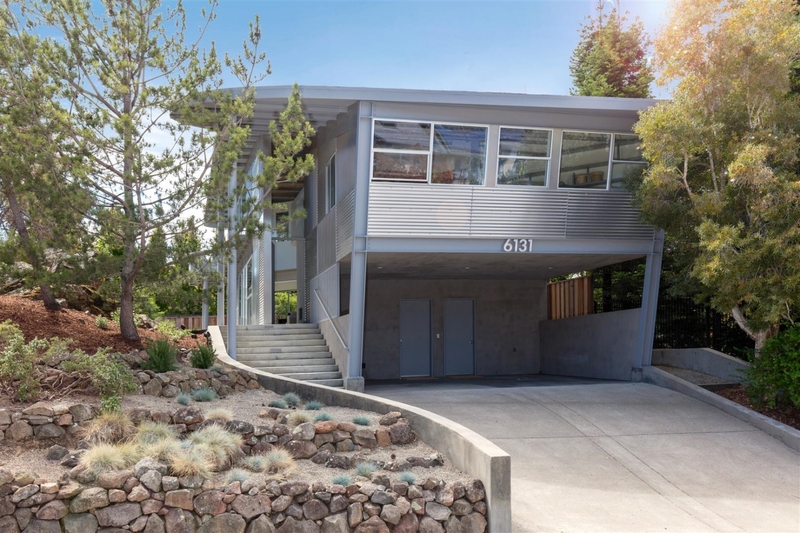 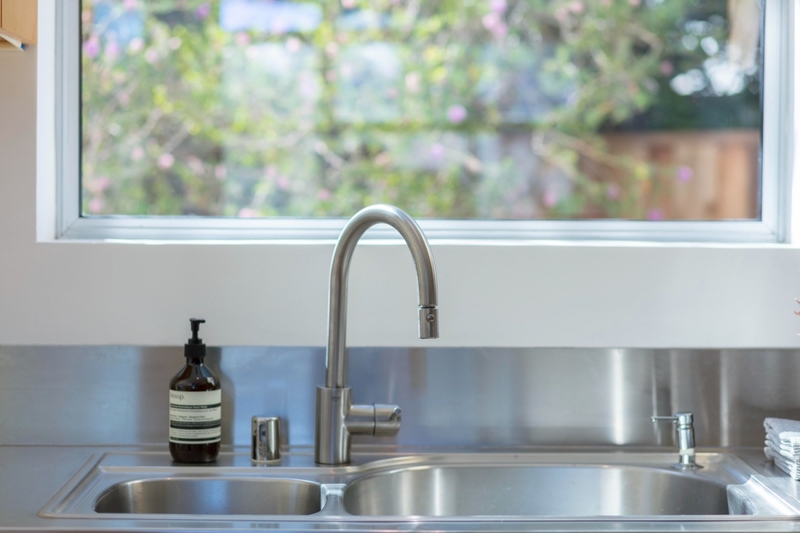 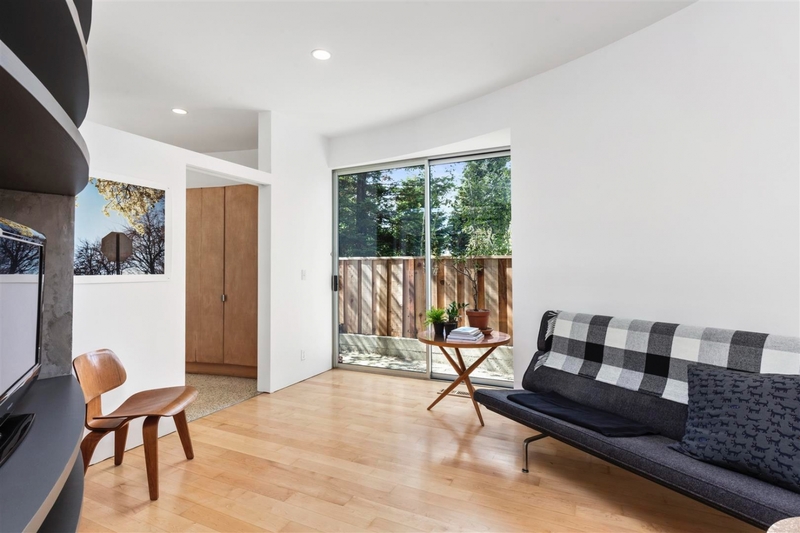 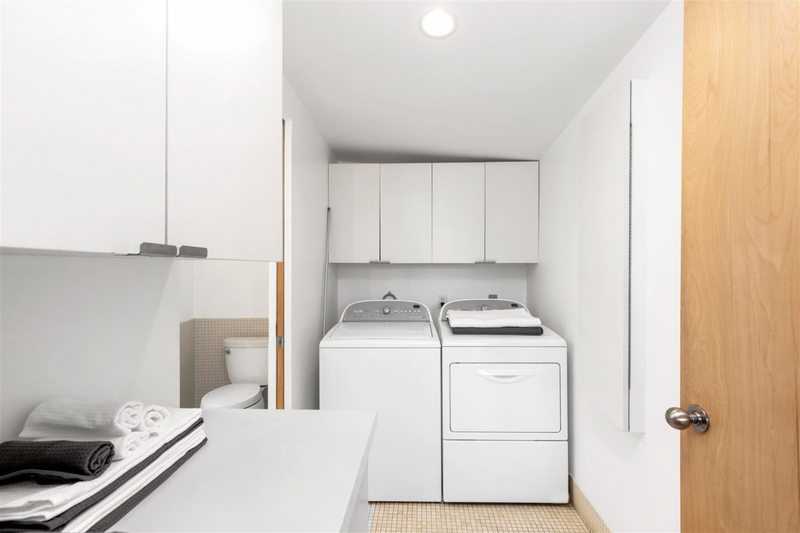 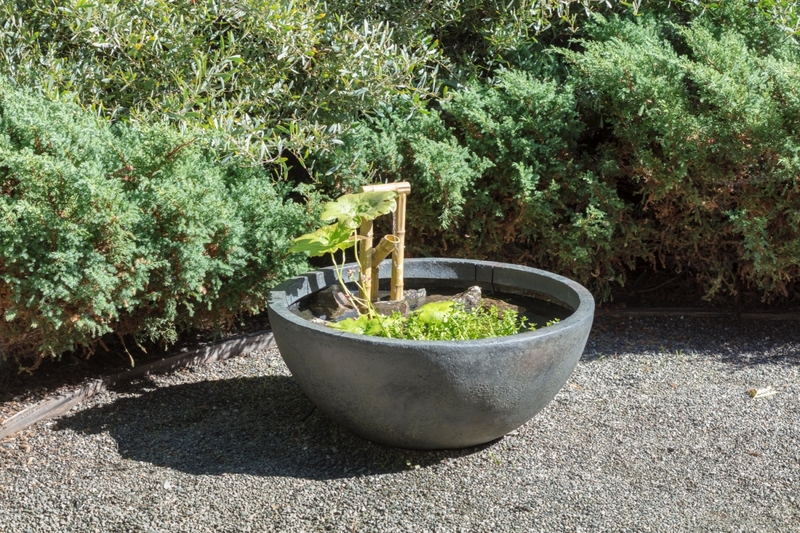 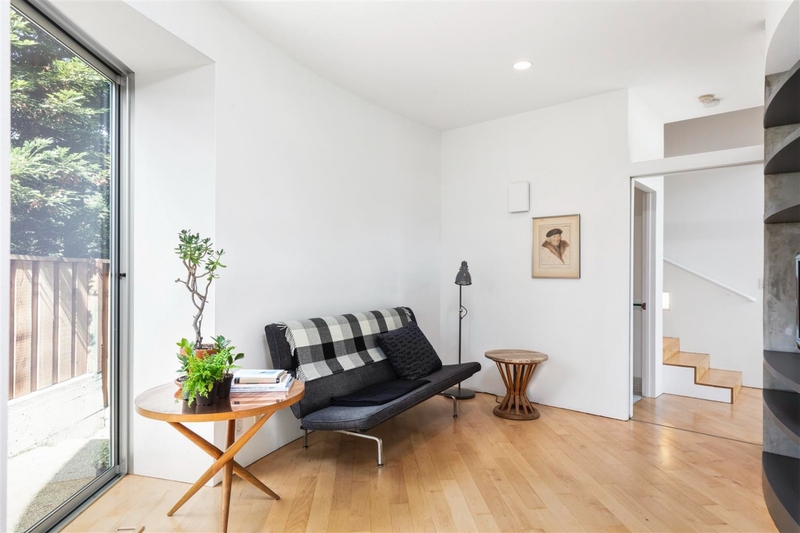 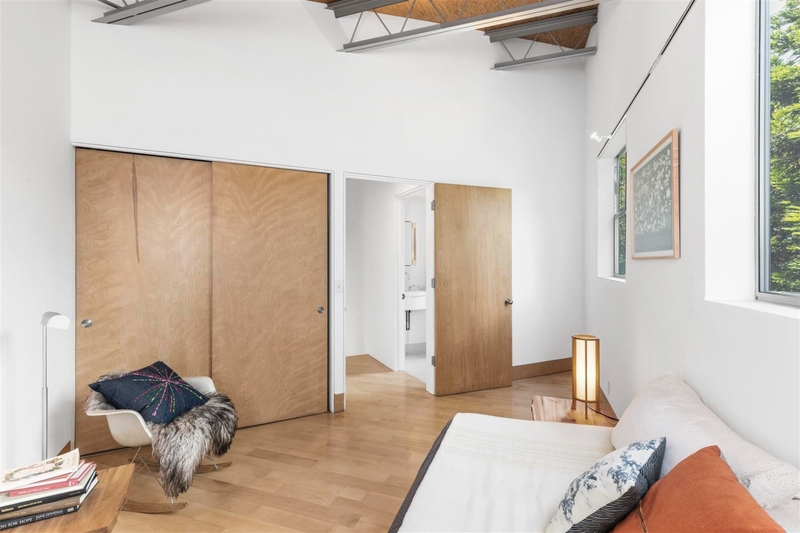 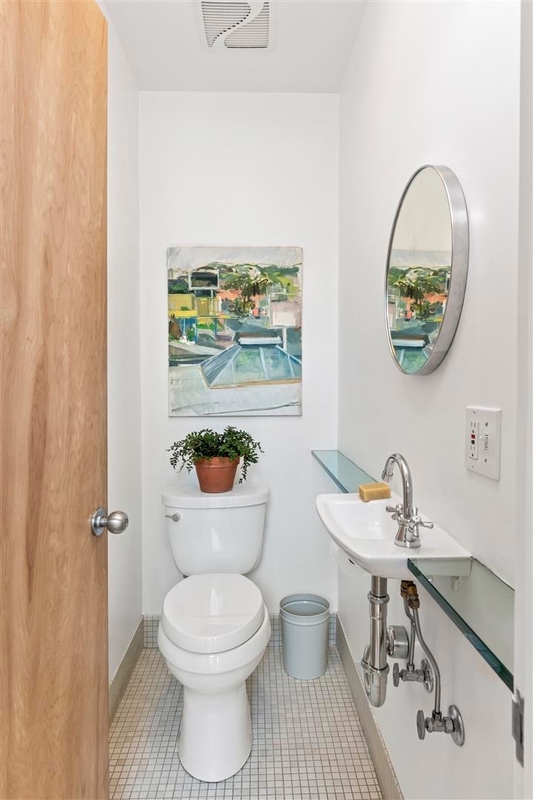 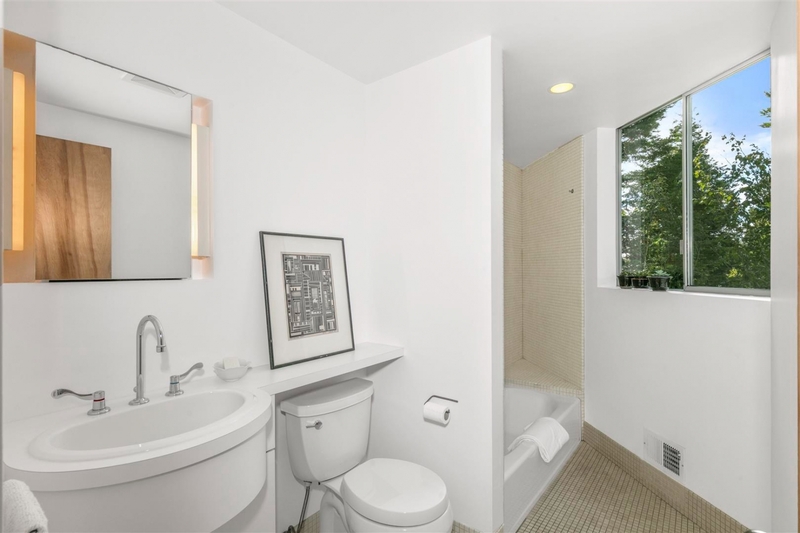 Located in one of Oakland’s favorite neighborhoods, it is both convenient and accessible. 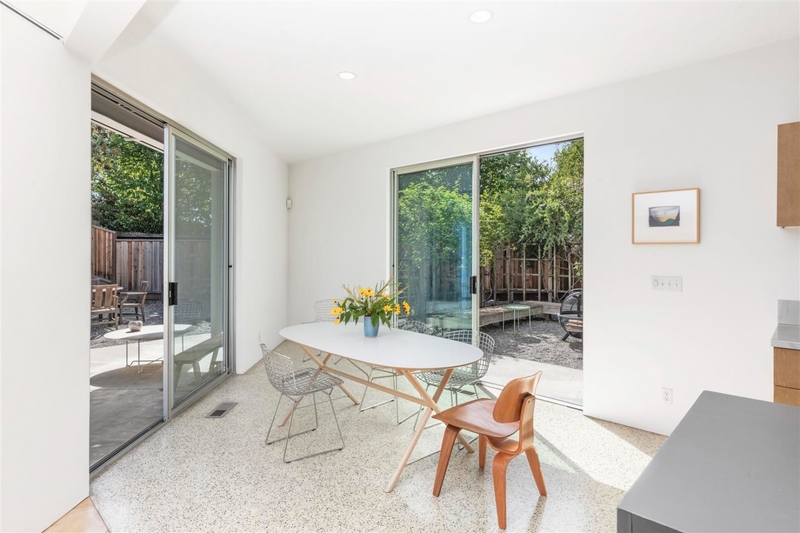 Rockridge’s College Avenue stores and restaurants are just a stroll away. 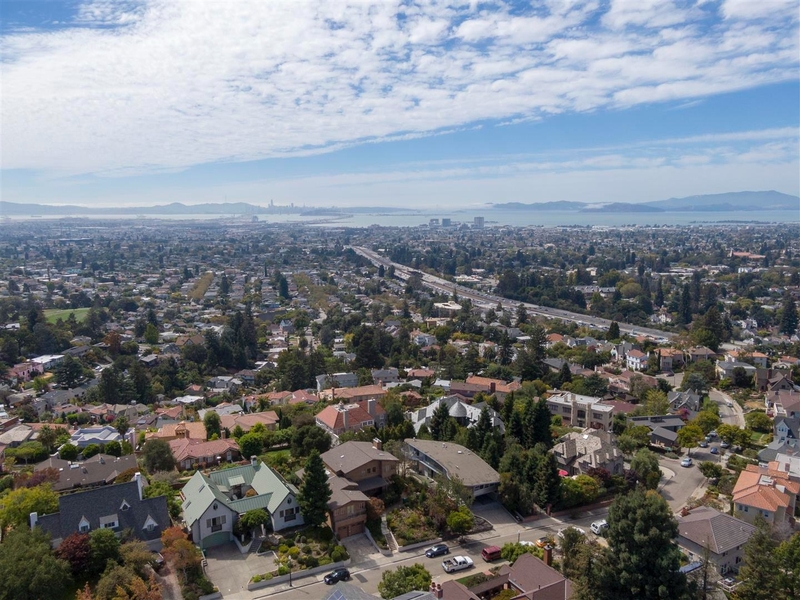 The BART station (directly to San Francisco and SFO) is ~.8 miles as well as other easy commute options of Casual Carpool and Transbay Express Bus. 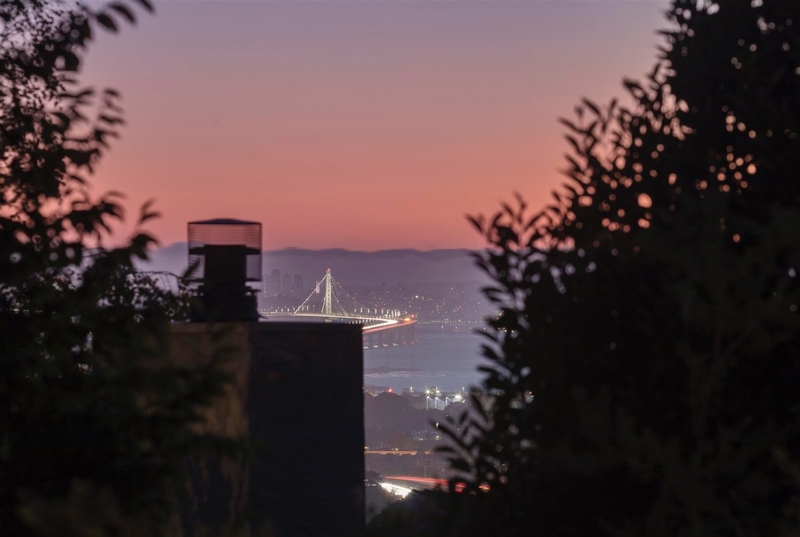 Highway access is within blocks for both Highway 24 & 13. 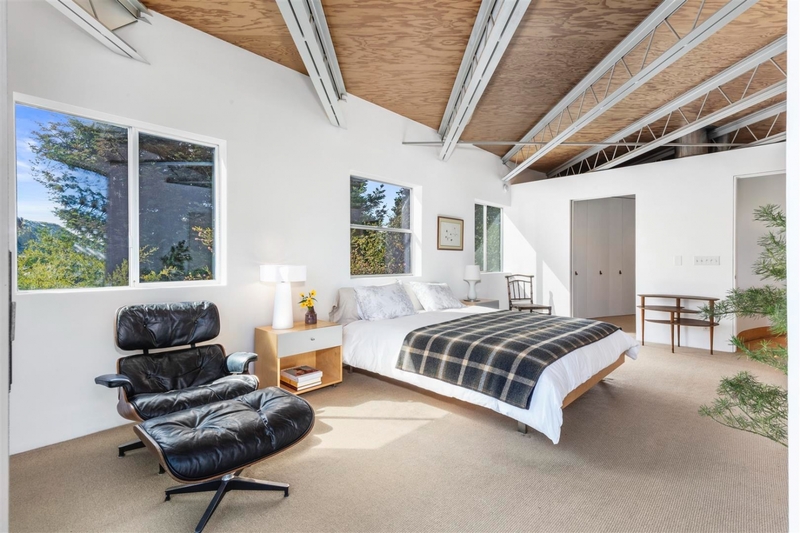 Truly a delightful, magical property. 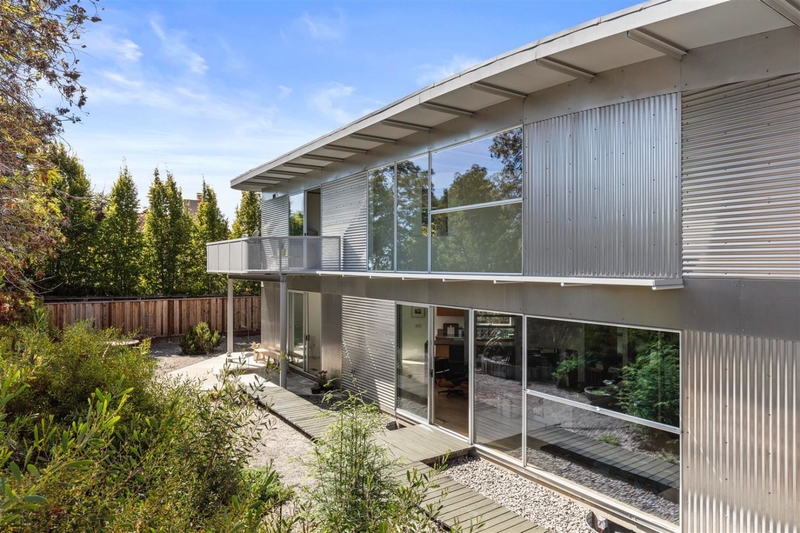 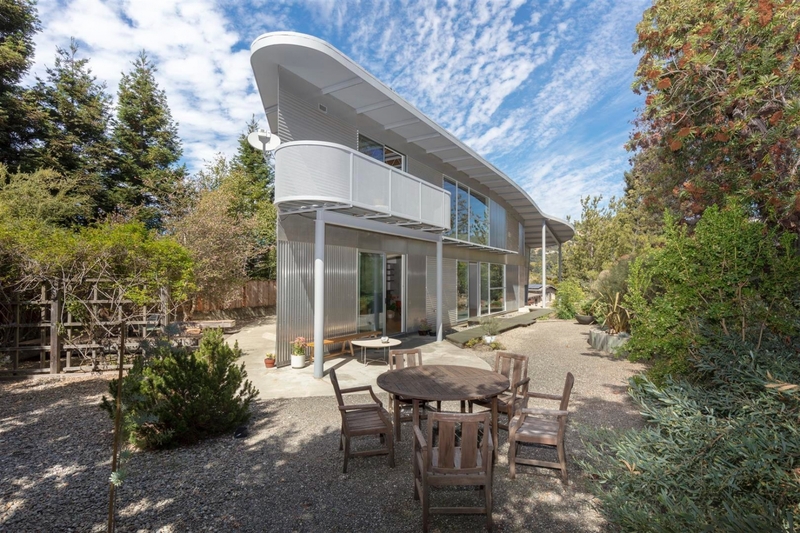 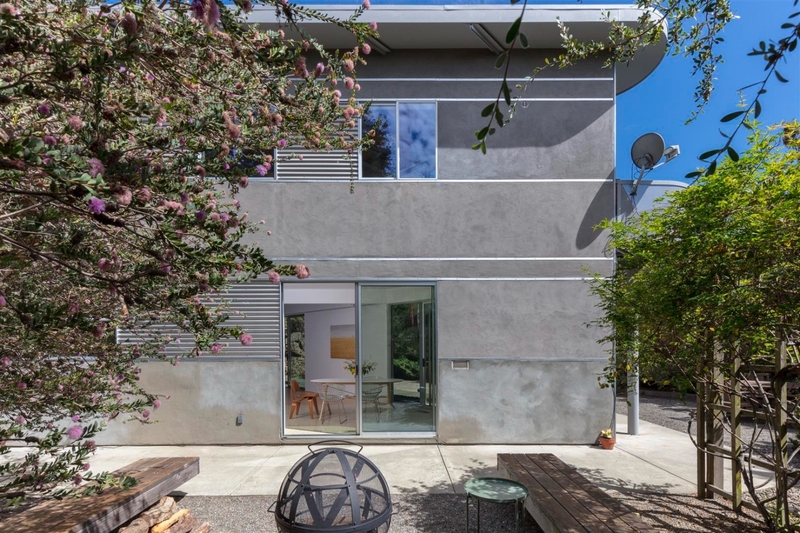 Publication - S. Saitowitz "McLane-Looke House"
Built Works Registry for Architecture - "McLane-Looke House"
Rockridge - Why Do We Love Living Here?